My business Zenful Bites has been working with a group of AU students to develop a business plan for a commercial kitchen cooperative in order to foster small food entrepreneurs and create a sustainable food system in DC. The students submitted the business proposal to Ag Prize and have been accepted to the second round. The students will travel to Madison April 24-27 to compete against 24 other teams for prizes up to $100,000. Additionally, the team with the most votes will win an audience prize of $15,000. 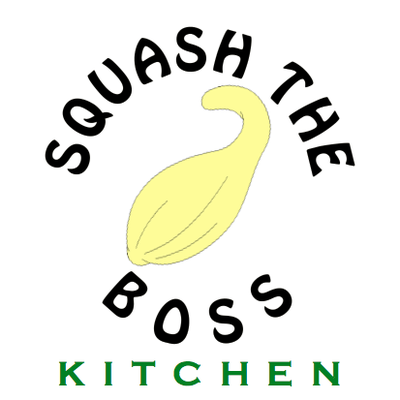 Please VOTE for Squash the Boss by using this link and encourage others to do so as well! You can vote once per day until April 24th by ‘liking’ Ag Prize on Facebook and voting for Squash the Boss Kitchen. For more information about Squash the Boss Kitchen, see the abstract below and contact us at squashtheboss@gmail.com if you have any questions or are interested in getting involved! ABSTRACT: With today’s food industry dominated by agribusiness and consolidated food manufacturers, local farmers and small businesses are failing to compete. A channel must be opened to develop local economies and communities around local foods to achieve food security and agricultural sustainability. Squash the Boss Kitchen (SBK) provides a model for this to be accomplished. SBK is a cooperatively-owned shared commercial kitchen located in Washington D.C.. For a monthly fee, business startups become member-owners, receiving access to a licensed commercial kitchen and a vote in the decision making process of SBK. Bridging the gap between small business and local farmers, SBK provides reliable year-long access to local and healthy produce to each member. By centralizing businesses to one location (SBK), a large demand is concentrated, allowing farmers to supply a greater quantity of goods per trip, creating more cost-effective distribution and allowing the farmer to sell at lower wholesale prices. Auxiliary services provided by SBK, such as cooking and educational classes, instill value in local agriculture and business throughout surrounding communities. Thus, SBK connects all aspects of the industry – the producer, preparer, and consumer – creating a food enterprise ecosystem that fosters strong relationships and responsible outgrowth.